Pine, Fir or Spruce: Which makes the best Christmas tree? WEST LAFAYETTE, Ind. — The holidays are upon us, and with them comes the task of choosing the perfect Christmas tree, something that Purdue University forestry specialist Dan Cassens said may require some thought. 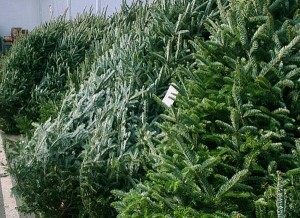 In Indiana, there are several species of Christmas trees, including varieties of pine, spruce and fir. Each species comes with its own pros and cons. In recent years, fir species have become more popular Christmas trees in Indiana. Fraser and Canaan firs are among the most common, and both are known for their needle retention and fragrance. These species also boast large, soft, waxy branches with short needles, making them easy to decorate. For consumers looking for something slightly different than the traditional pine or the popular fir species, spruce trees also are an option.